We utilize Conklin's MR Elastomeric metal roof coating System to solve problems with leaky metal roofs. The MR system consists of a highly reflective white coating when used in conjunction with reinforcing fabric, seals seams and fasteners, lowers roof temperatures, and prevents any further damage to your steel roof from thermal movement. Conklin fluid applied roofing products are often the best choice for repairing or sustaining existing rubber roofs, foam roofs and asphalt roofs before or soon after they begin to exhibit signs offailure. If your existing roof is too far gone a new roof can be created using the Conklin products by first installing rigid insulation or recovery board as a smooth structural base or tearing off the old roof covering. 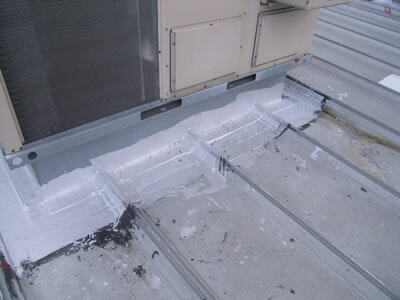 Many roof top penetrations on commercial roofs present opportunities for water intrusion. Your roof has to perform under the worst weather conditions possible. 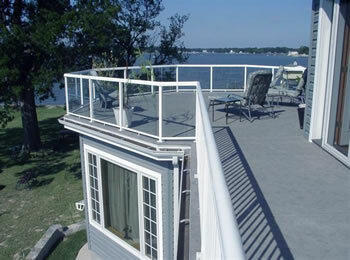 The foot traffic to maintain roof top mounted systems is also a burden on your roof. 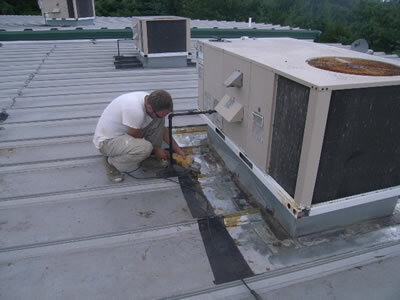 The sheer size of many commercial roofs means numerous fasteners and seams, any of which can be failure points. Even relatively new roofs may need maintenance or minor repairs to head off early failure. At Sweeten we have the experience and products to extend the life of your current functioning roof or repair your leaking roof if it is still serviceable. 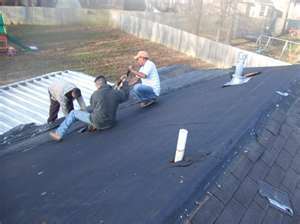 We specialize in flat, low pitch and metal roof repair. Not all leaking roofs can be saved some are just worn out and need replacement. We also have a poly-urethane based, catalyst cured product that can be used in situations where there may be ponding, the ambient temperature is too low, or another situation unsuitable for use of a water based product. If it leaks we can seal it. Fast clean efficient replacement of your worn out shingle roof. We offer high performance underlay and shingle products from local distributors. 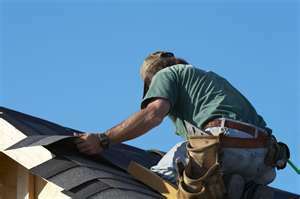 We address you roofs ventilation, insulation and rain conducting systems when estimating your roof.